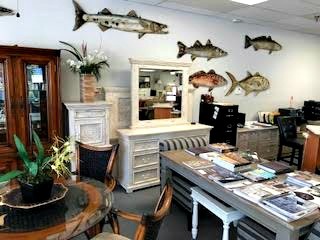 The gallery is the former Wholesale Furniture Outlet, but with a new name, new location, and selling only new furniture now ........... along with mattress sets, and accessories such as lamps, rugs, bedding, silk trees and floral arrangements, and wall art. 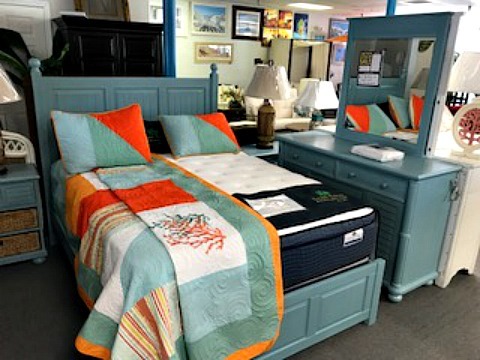 There are only a few furniture stores in Cape Coral, Fl but that doesn't mean you have to go over the bridge to Ft Myers to buy great pieces for either your vacation or year-round home. 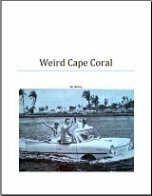 Keep it in the Cape and head over to Tropical Furniture Gallery! Troy, the owner of Wholesale Furniture Outlet, started wholesaling furniture in the 1990's at various locations in Ft Myers. 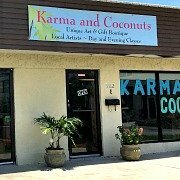 He now works with 20 different manufacturers that offer quality and value at this present location on Del Prado Blvd down near Cape Coral Pkwy. For instance, bedroom sets are made from solid wood and/or quality wicker in tropical, coastal, contemporary, and cottage styles. Ask to see how the drawers are made ........... most of them have either dovetail or mortise-and-tenon joints along with extra reinforcement wood blocks on the bottoms. Drawers either slide out on side rollers or with the added reinforcement from a center slide. One of their manufacturers also adds extra reinforcement blocks to the backs of their dressers and chests. One of their wicker companies builds thicker solid wood drawers for added strength and value. 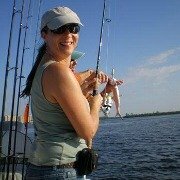 It's generally true that you get what you pay for. 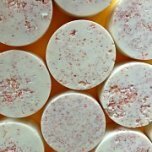 You may be able to buy cheaper sets elsewhere, but they are not as well-made and, therefore, won't last as long .......... you'll spend more money in the long run with more replacements. If you don't see what you want on the floor, they can special order from catalogs. And, 3 of their furniture companies delivers every week (every 2 weeks off-season) so you can get your furniture quickly! Most of their other manufacturers deliver within 5-7 weeks, which isn't too bad. 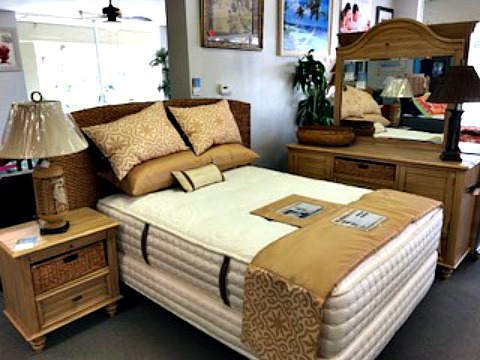 They sell mattresses from top-of-the- line national manufacturers mainly in plush, firm, and pillowtop styles. To test a mattress, it's best to lie down the way you sleep so you can really get a feel for how comfortable it is. It's not enough to sit or press down on it. Special order mattresses usually take 3-4 weeks. 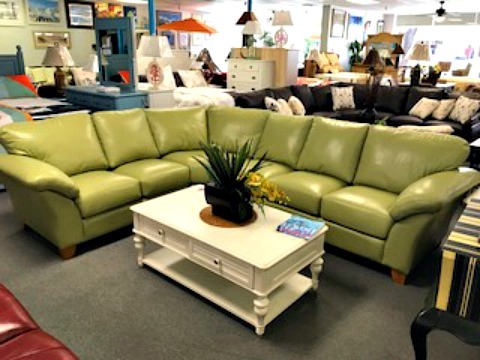 Living room sets are American-made and some are even from Florida-made manufacturers. 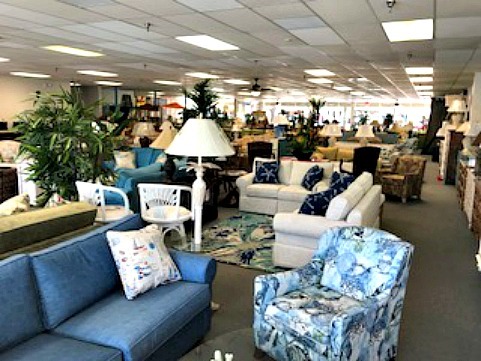 The store has sofas, sleepers, loveseats, and occasional chairs in solids, tropical prints, or genuine leather. One of their manufacturers makes their sofa and chair cushions with coiled springs for added strength and durability. Another manufacturer has an excellent lifetime warranty on their sofa and chair frames, 3 years on on springs, and 1 year on cushions and fabric. Most of the other manufacturers have a 1 year warranty for defects in materials and workmanship, some offer more. Occasional tables are made from solid wood or wicker, seagrass, or rattan in various styles and colors. Entertainment and wall units range from small to large and can accommodate the latest TV profiles. I love the ones with reclaimed wood looks and barn doors! Dining sets are mainly in tropical styles and are made from wicker, rattan, and wood. They mainly have dinettes that seat 4 but also have wood drop-leaf tables for 2 as well as dining sets that seat 6+ in wicker and wood. Dinettes on casters are popular but be aware that the casters break easily on tile floors due to constant movement over grout lines. Therefore, those sets are best for wood or carpeted floors. 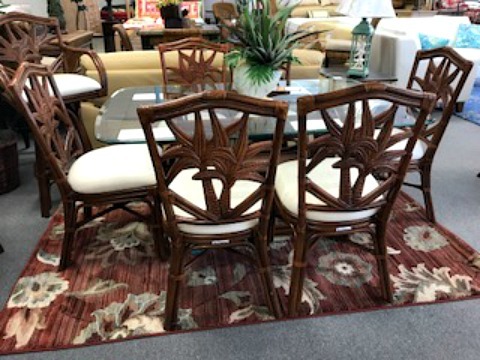 Tropical Furniture Gallery also carries middle-end and high-end outdoor patio and dining sets in wicker, aluminum, and wood. The longer lasting a set is, the more you'll pay for it. It costs more to make materials that wear well outdoors, out of cover. 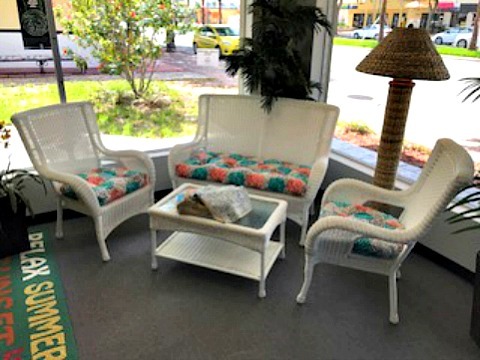 That's why they carry resin-only wicker with a heavier gauge of steel frame and cushions made with Sunbrella fabric. Sunbrella is a fabulous outdoor fabric, it's resistant to fading and environmental pollutants. 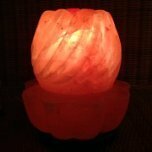 It inhibits mold, mildew, and rot; and also filters out 98% of UV rays. The store's aluminum sets feature a baked-on powder-coated finish that won't rust and resists chipping. Tables have a thin sheet of plexiglass to keep surfaces strong. Seats are made with a stylish synthetic woven material for strength and durability that also eliminates the need for cushions. Wood sets are made from the best marine-grade mahogany and finished with a marine-grade paint, the kind used on boats. Now we're talkin'! This is the way to go for wood outdoor furniture for under and out of cover. 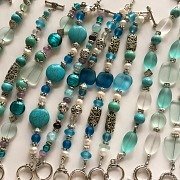 Don't be deceived by lower prices at big box or discount stores ......... other manufacturers make the same styles we carry but with inferior materials. The difference can be sets that last 10-15 years versus 2-4 years. Yup, you get what you pay for! Check out their popular line of Pawley's Island outdoor furniture, made with recycled milk cartons. As for other furniture, check out their large selection of barstools, accent cabinets and etageres. 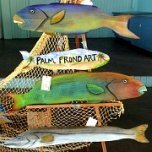 Think of Tropical Furniture Gallery when you're shopping for tropical art such as paintings and other wall art, fish plaques, plus accessories such as floor plants, and table florals. If you're on a budget and see something that's priced too high, let them know what you can spend and they may have different solutions and options to get you close to what you want for the price you can afford. The other option is their clearance section where you can find amazing bargains! 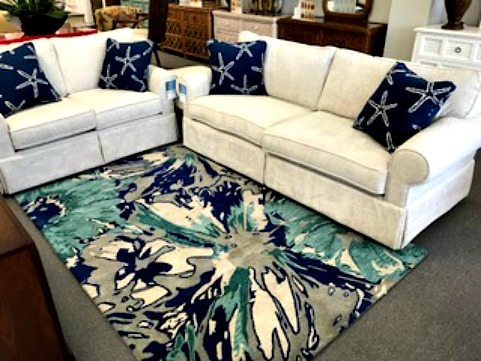 Shopping for furniture should be fun and not so stressful! 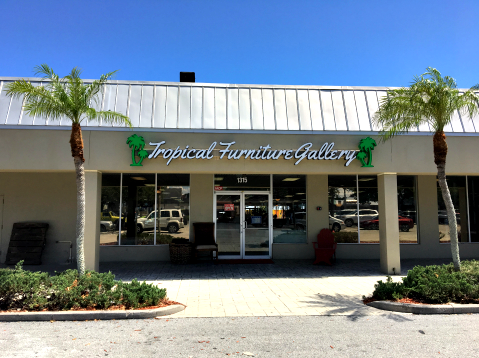 As you're shopping Cape Coral furniture stores, don't forget to check out Tropical Furniture Gallery. The store is open Monday - Saturday from 9:30AM-5:30PM, closed Sundays or by appointment only. They offer white-glove delivery and installation services, plus package deals on whole-house and multiple-piece purchases.